I have purchased these two palettes at around the same time and I have been using them frequently. 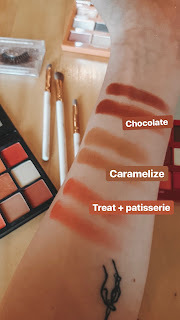 When writing a review about a certain makeup product, I find it really important that it was used several weeks or even months, before it was spoken about its quality. Although I have had these two jewels in my collection for a longer period of time, I have recently noticed this similarity between them, which I thought I would share with you. You might not see these similarities between them at first glance, since the Revolution palette has 18 shades, as far as Huda has only 9. But the shades match almost perfectly. 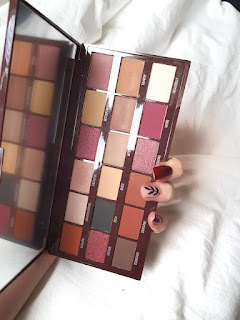 First I swatched Huda’s shades and then tried to find the closest possible color in the Red Velvet palette. 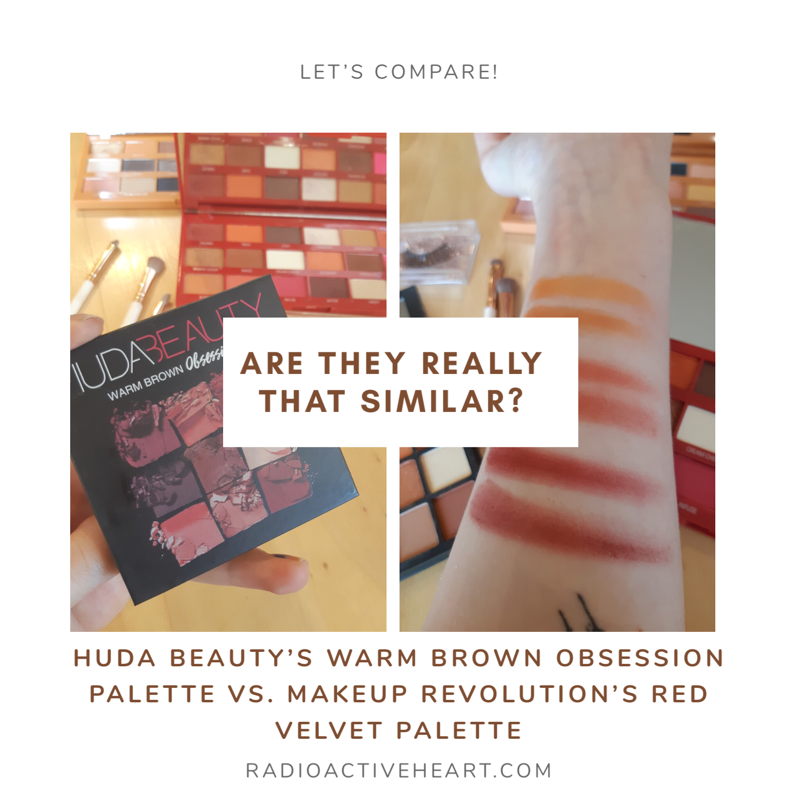 I have to point out that some shades didin’t match perfectly, especially the lighter shade in Huda’s palette. 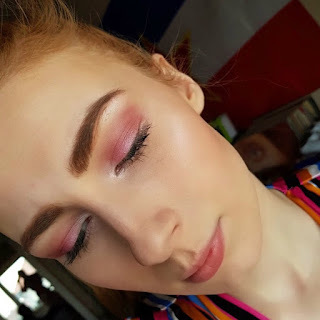 For it I had to mix 2 shades from the Revolution palette. 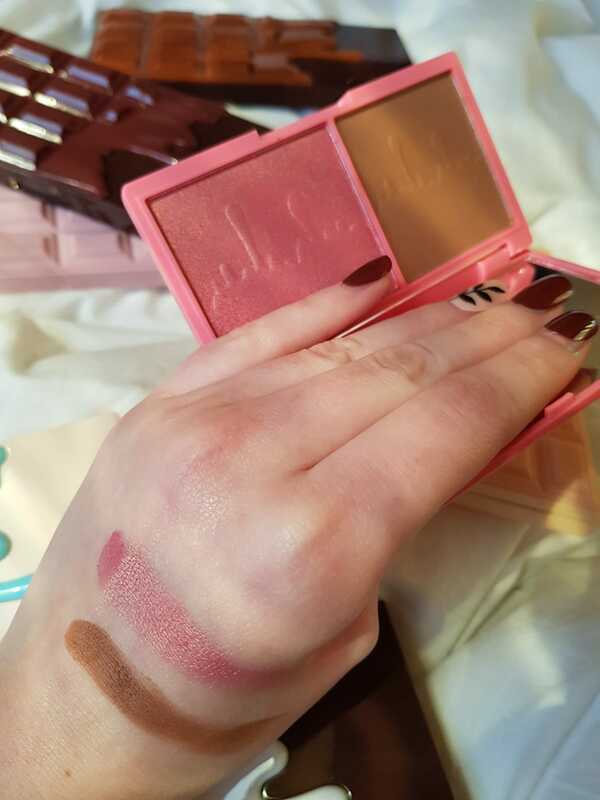 As far as the quality goes I have to say that they are both well pigmented and creamy. 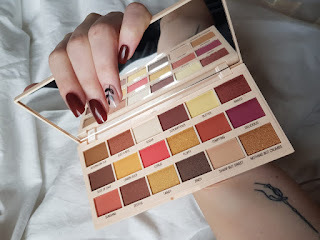 Huda's shades might be more blendable and longlasting than Revolution's but that is expected. 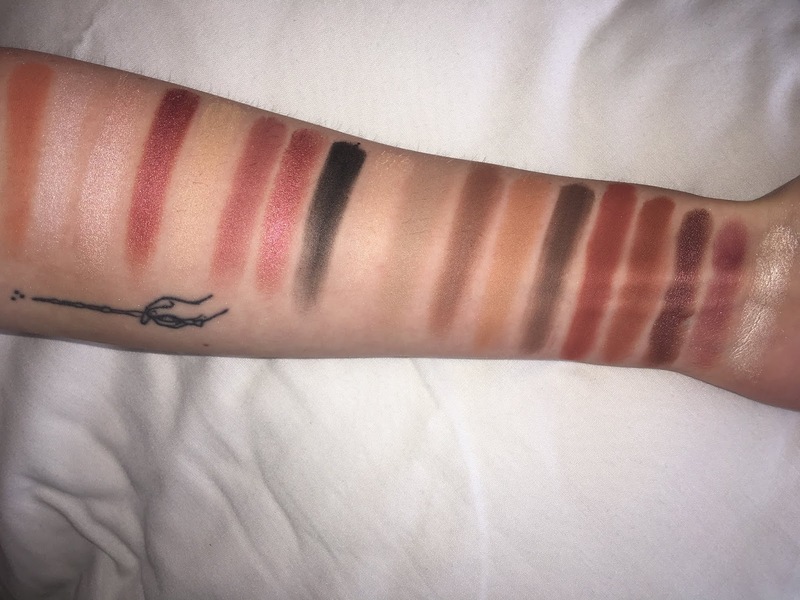 I am happy with bouth palette's color selection, which allows us to create several different looks. 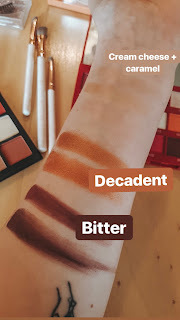 I suggest using eyeshadow primer in both cases, since we are talking about shades with red pigments, which can be a bit difficult to wash off in the first place. 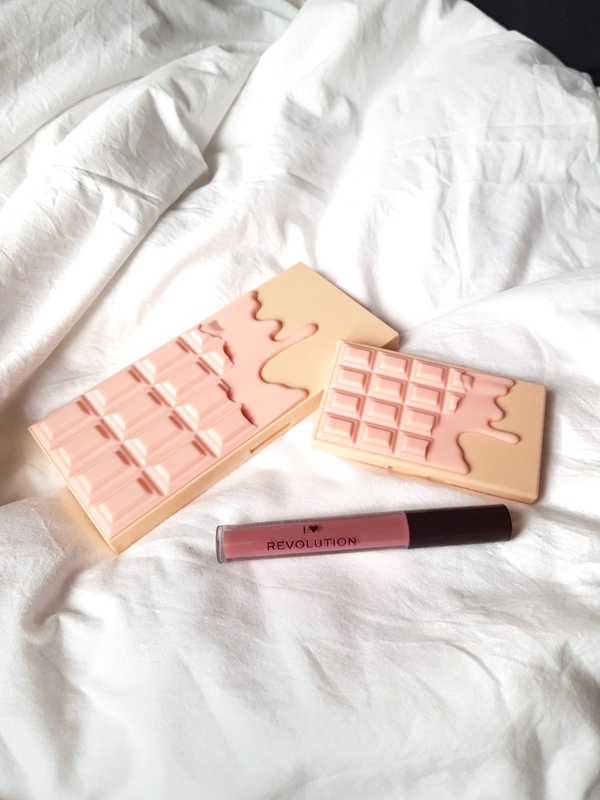 Makeup Revolution has launched another set just before Christmas of 2018 and I finally laid my hands on it. In this post I would like to show you what you can get in it, as well as provide links to each individual palette with photos, swatches and looks. The vault itself contains six eyeshadow palettes, two mini face palettes and three lip glosses. Some of the products were initially meant to be vault exclusives, but they were launched separately later on, which made some of their collectors very cross. The vault is still available to buy from their official website! Continue reading by clicking on the banners! 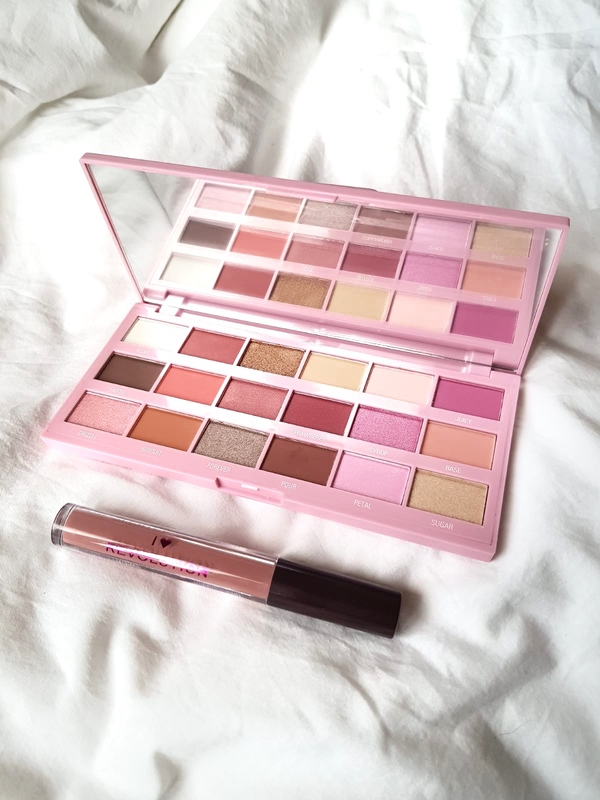 This palette was ment to be a vault exclusive piece, but Makeup Revolution has launched it seperatelly as well. The color sheme is fall oriented, so stay tuned for the more detailed review of the palette with the tutorial in the upcomming fall time! 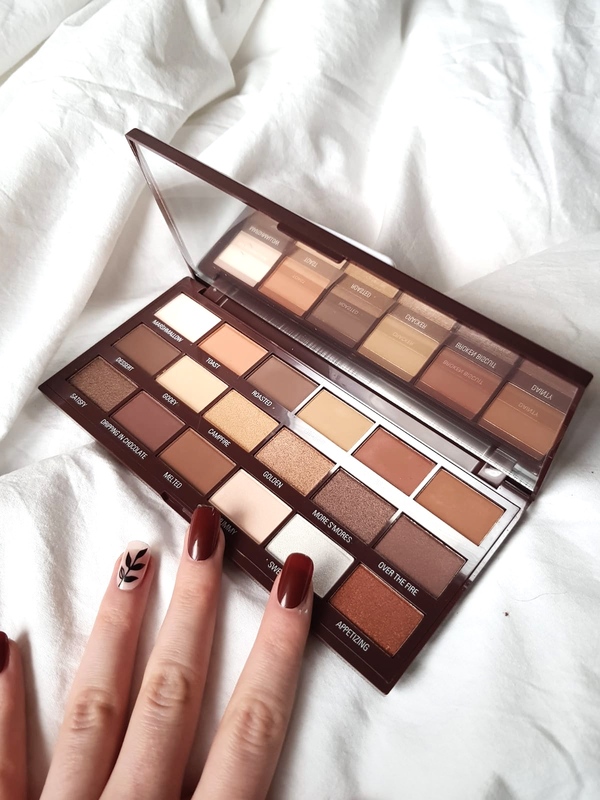 This palette is a chocolate vault exclusive and it contains multiple warm and cold brown shades, some of them matte, some of them shimmers. 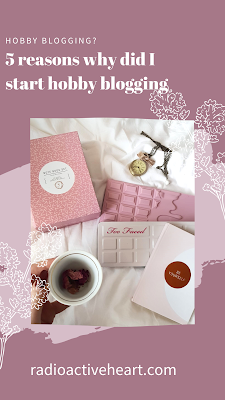 Check out the scatches down below! 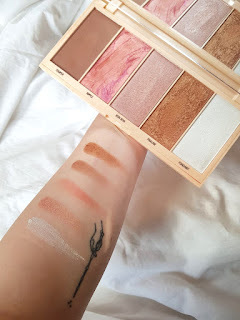 This mini face palette includes a cherry shimmery blush and a warm brown matte bronzer shade. 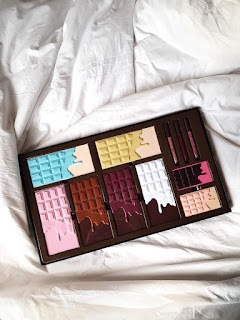 The praline face palette which is not included in the vault! 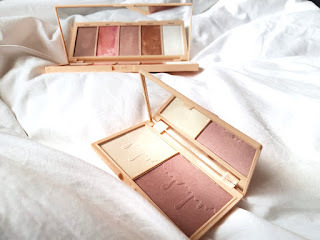 This duo is great for travelling as it contains a gentle rose shimmery blush and a snow white pearly highligghter. 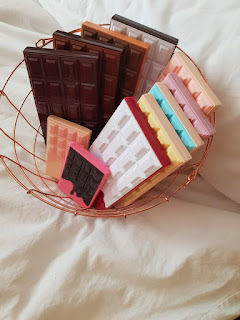 The packeging is the miniature version of the Praline face palette, although the shades are not the same. This is one of the three Chocolate vault exclusives! Lovely rose eyeshadow palette with pinches of gold and silver! The palette itself contains 18 shades, 9 mattes, 8 shimmers and a foil shade, and it's great for creating flirty spring looks. It reminds me a lot of the Pink Fizz palette, which was launched way before this one, however they have improved the quality of their shades and foils a lot! What I was missing from it is a warm matte brown shade, which I would normaly use for a transition shade. 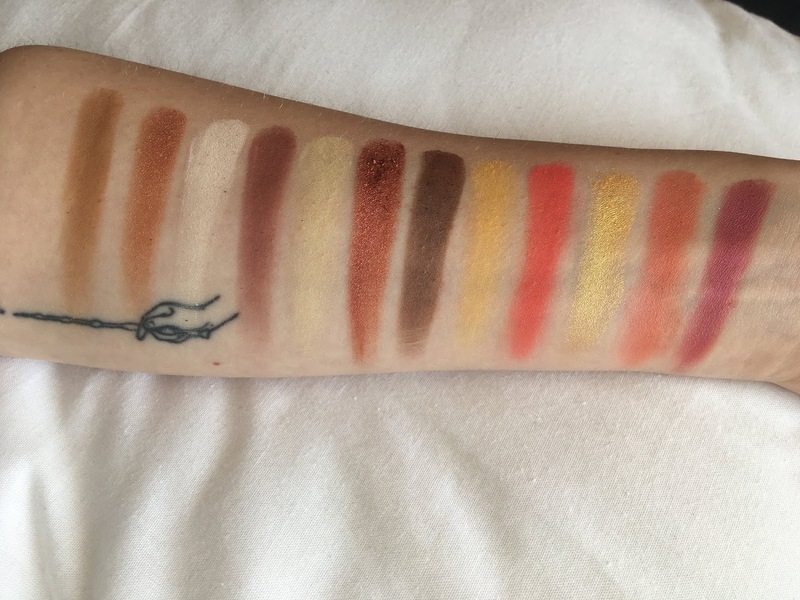 This time I am not going to write a detailed tutorial, because I wanted to try out as many shades from the palette as possible and I was just layering them on top of each other. But stay tuned, I will post a video on my instagram profile soon! Follow me on Instagram as well @radioactive_heart !!! 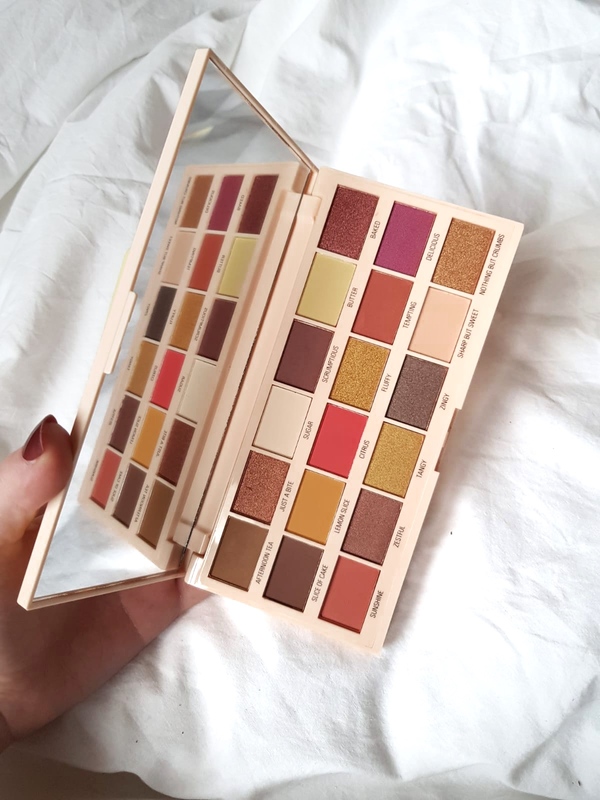 This Makeup Revolution eyeshadow palette contains yellow to red shades, with a few pops of berry shades. 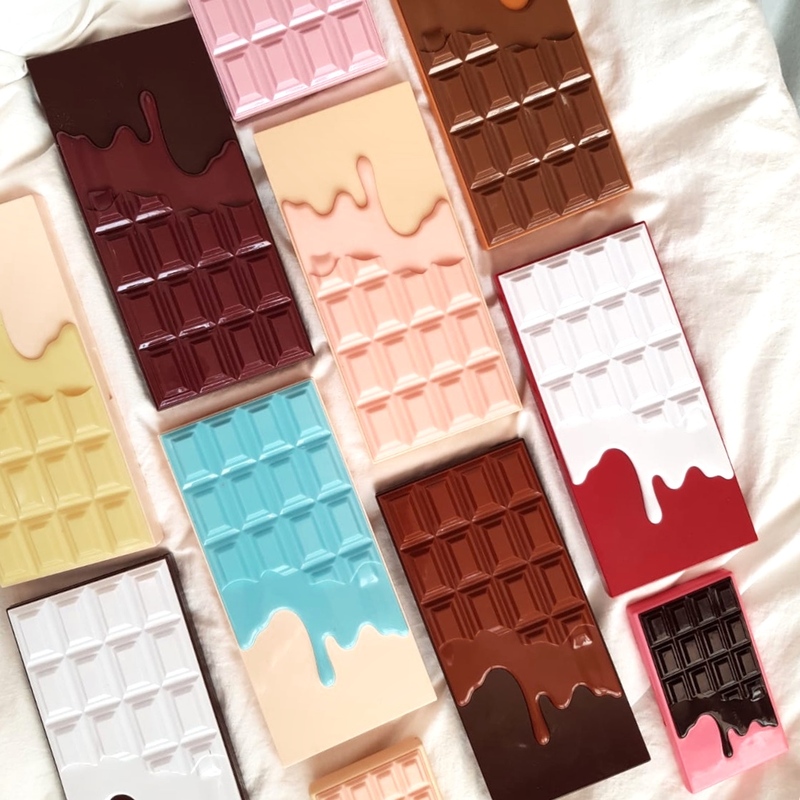 All together we get 18 shades, 10 mattes and 8 metallics. 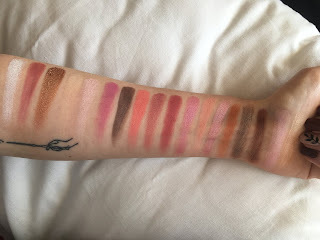 Matte shades don't have so much fallout as you would might guess, however the metallics aren't so creamy as you would expect them to be from the otther palettes. 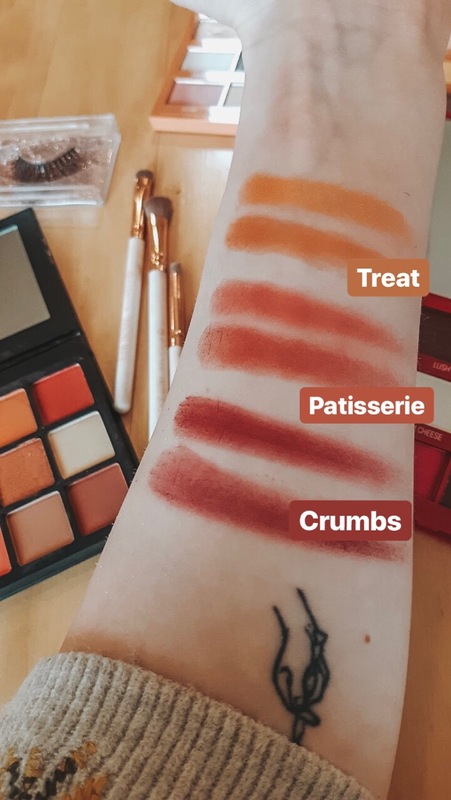 Metallics from the palette Macaroon are much better. The blendability is great. I always find hard to blend matte berry shades, but not in this palette. 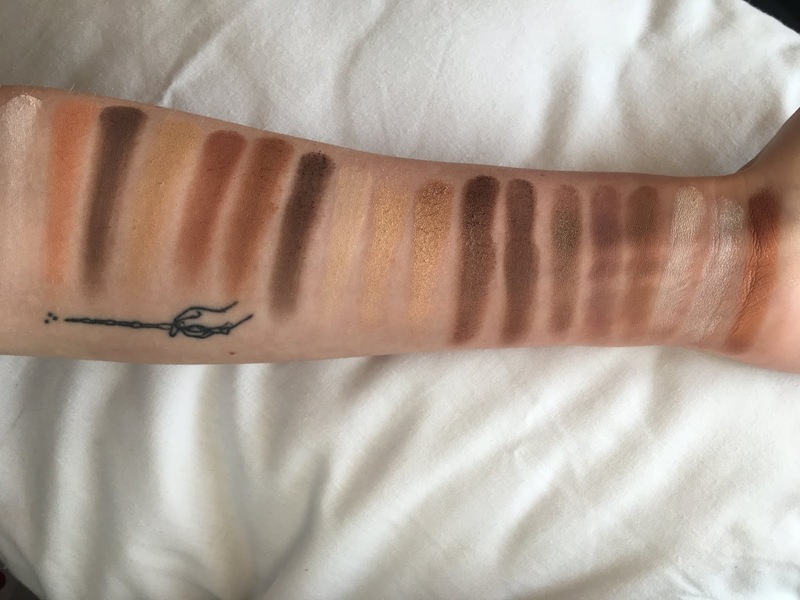 The whole palette is quite warm toned, which I prefer, so that might be the reason why it blends easier. I wanted to create a burnt orange look with this palette. First I applied my base shades, which were Sharp But Sweet on my lids and Butter for under my eyes which acted as a banana powder. Next I put Tempting on my crease and blended it out with some Lemon slice on top of it. The shades are quite pigmented, so you will have to be careful when applying! 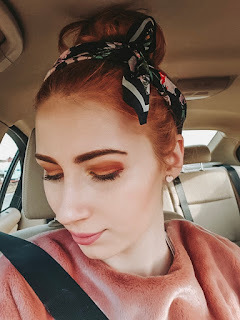 Next I used Zingy, mixed with Afternoon Tea on my outer v, blended it out with a round fluffy brush. With a flat brush I placed some gold glittery shades on my lids and placed the lightest shade Sugar to my inner corners and used it as a browbone highlight as well. Last but not least I put some Baked on my lower lashline and finished of the look with some mascara.